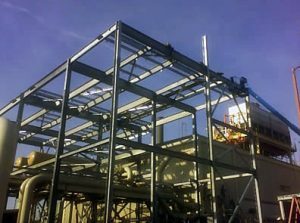 ACI is a full-service structural steel and miscellaneous metals fabrication and erection contractor with in-house estimating, detailing and computer aided drafting (CAD). We house an automated drill line, as well as OSHA approved blast and paint booths. Atlantic Constructors scope of work included the demolition of existing cooling towers and the installation of the new ammonia cooling system. 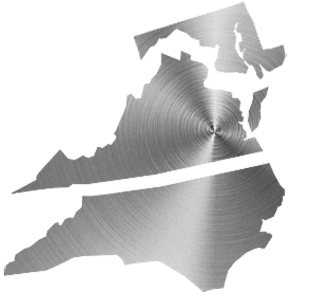 In addition to rigging and setting all of the owner furnished equipment, we fabricated and installed all of the structural steel, stairs, grating, handrails, and pipe supports. 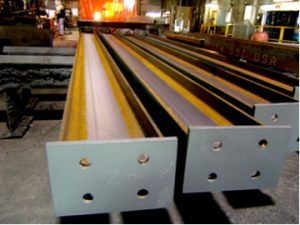 The shipyard needed a steel structure in which to cradle test weights for their crane systems. 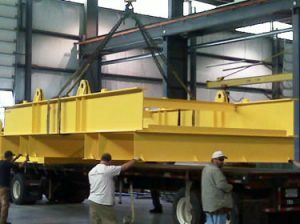 Atlantic Constructors detailed, fabricated, and painted the 17- ton lifting frame and the 12-ton bottom lifting frame.